Should I use an emergency dental filling kit? Emergency dental filling kits can be useful as a short term fix in an emergency for a broken tooth or lost filling, but they are not a replacement for going to the dentist for a professional dental filling. Here, our Edmonton dentists explain why. If you break a tooth or lose a filling, you can use an emergency dental filling kit to temporarily treat the area until you can get to the dentist. However, it is important to remember that these over-the-counter fillings are designed to be temporary – they should not be regarded as an alternative to going to the dentist, and should only ever be used as a last resort. While over the counter emergency kits contain a basic amalgam mixture like the one your dentist uses, it is almost impossible for someone who is not a trained dentist to apply the filling mixture correctly. As a result, it will not be strong enough to support the tooth for long, and the uneven application could cause food and plaque to build up underneath it, where it could cause a cavity to form. In addition, if your broken tooth is a result of existing dental decay, they you may well have sealed some of the decay in underneath the over-the-counter filling material. One of the most important parts of a professional dental filling procedure is removing all of the decay before the filling material is place. If the decay trapped under your over-the-counter filling goes untreated, it can cause serious damage to your tooth. Is there ever a good reason to use an over-the-counter emergency filling kit? Emergency filling kits should only ever ben used as an absolute last resort. For example, if you are stuck somewhere without access to a dentist, an emergency filling kit can be a good stop gap solution. But you should make an appointment with a dentist as soon as you possibly can to have the tooth restored properly. 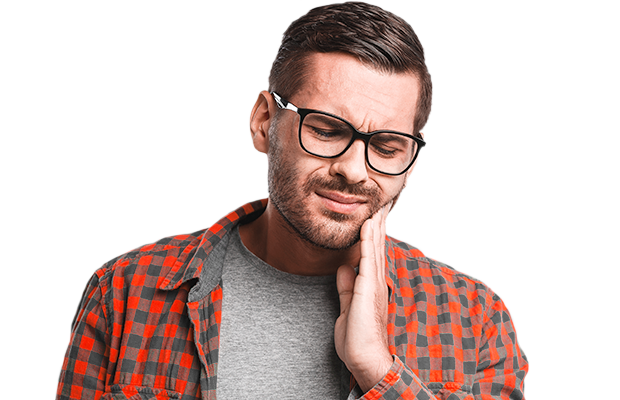 If you have broken a tooth or lost a filling, please contact Azarko Dental Group’s emergency dental clinic in Edmonton to book an appointment with one of our dentists.